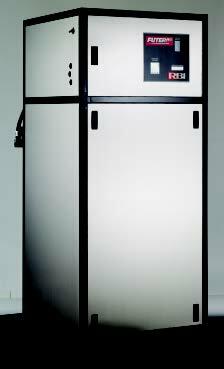 The gas-fired Futera III brings the field-proven performance of Futera Series boilers and water heaters to even higher levels of efficiency and reliability. Featuring full modulation with 3:1 turndown, the Futera III supplies the precise amount of heat necessary to maintain desired building temperature by matching heating demand without over-firing and wasting energy. These dependable, easy-to-service boilers feature rugged construction and sleek, stainless steel jacket design. Models range from 500 – 1999 MBH. If you're looking to maximize efficiency, reliability and flexibility in domestic hot water and hydronic heating applications, the Futera III is your heating solution.